MLB reports: The majority of sports fans know of the World Cup of soccer, held every four years. Even the most casual non-soccer fans will tend to follow their favorite team/country in the tournament when it is staged. For all the hype and legacy surrounding the World Cup, MLB reports is obsessed with another tournament all together. What the World Cup is to soccer, the World Baseball Classic is to baseball. The original WBC tournament took place in 2006, followed by the 2009 edition. From there, the WBC was to be staged every four years, to mirror the World Cup, Olympics and other international sporting tournaments. With the 2013 World Baseball Classic coming up in less than two years, our favorite international tournament has recently undergone some changes. MLB reports is here to give you the lowdown on the 2013 WBC. It is an extremely happy moment for baseball, as its borders continue to expand and more countries adopt the greatest sport in the world. Countries such as Columbia, Israel, Germany, France and Spain will be encouraged to develop baseball athletes. This will in turn increase the popularity of baseball in those respective countries, which will increase the fan base of baseball and the talent level of the sport. It is truly a win-win proposition for everyone. After years of lobbying for such a qualifying tournament, it is an absolute delight to announce that the WBC has expanded and moved towards becoming a truly world event. With happiness does come a little sadness. After poor showings in the 2009 WBC, holdovers Canada, Chinese Tapai (Taiwan), Panama and South Africa are now required to qualify in order to participate in the 2013 World Baseball Classic. After having attended the first round divisional games in Toronto two years ago, as a Canadian I am dismayed that Canada has set itself back on the world stage by not having an automatic berth in the tournament. Similarly, fans in Taiwan, Panama and South Africa that have been a part of both editions of the tournament will also possibly suffer setbacks in the development of their baseball programs. But logically, only so many countries can participate in each WBC and having the qualifying tournament should help ensure that the best teams get to advance. I am surprised to say the least that Canada has to qualify while say, Italy has an automatic berth. But the field will change for every tournament and the countries that have the best showings will get to participate, that is the bottom line. 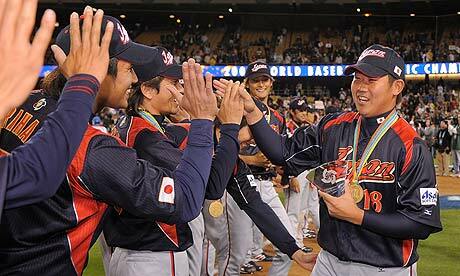 We would love to hear your thoughts on the changes for the 2013 World Baseball Classic. Tell us about the country that you cheer for and how you feel about these changes. Was your country added to the tournament? Are there any countries that were missed? Will a new country take the tile from two-time winner Japan? We want to hear from you! Please leave your comment at the bottom of the page and let’s hear what you, the readers, have to say. In the meantime, make sure to note the fall of 2012 and March 2013 in your calendars. The 2013 World Baseball Classic qualifying tournament will be upon us in little over a year. We can’t wait. Posted on June 16, 2011, in The Rest: Everything Baseball and tagged baseball, mlb, wbc, worldbaseballclassic. Bookmark the permalink. 47 Comments. Agreed, the WBC is a great tournament. What do you enjoy most about the WBC? Thoughts on new countries added and the qualifying tournament? Okay, So The fall of 2012 and March 2013 Sounds Great But Where Will It Be Held? Great question Melissa. The WBC locations have yet to be announced. With so many teams competing in the qualifying tournament, it will likely be played in various locations in the fall of 2012. I expect the regular tournament to be played around the world as in the 2 previous tournaments, with the semi finals and finals in California. Stay tuned, we will likely not hear more until next year on locations. It is great to have Brazil joining WBC, even if it’s just qualifying series. Here in Curitiba and São Paulo there are many baseball fans, mainly due to our japanese community. We hope WBC improves the sport in Brazil, as happened with Volleyball and Mixed Martial Arts. Hello Bruno and hello Brazil! Thank you for reading and for your comments! I am a huge fan of the WBC and pleased to have Brazil on board. The key is to have major league players a part of the team. Whether as players or coaches. At the end of the day, raising the profile of baseball in other countries is a key to the WBC. It will lead to baseball being played in more countries and more kids being introduced to the sport. Enjoy the tournament and I hope your country does well. Good luck next year as the qualifying tournament is in the fall of 2012. I’m a huge fan of WBC since the first edition in 06′. I really like the idea of the qualifying tournament and the news country! Is good for the sport and the tournament. I’m Dominican and live in Puerto Rico, I see my Dominican team play, but I think the Venezuelan and the Dominican deserve to have games in our country! And the final in the next tournament have to be in japan!! They deserve that!! 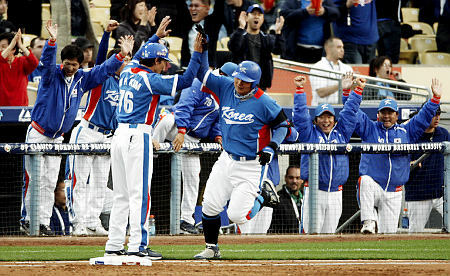 Agreed that qualifying for the WBC makes sense, especially for teams that do not perform well in the previous edition. This puts a great deal of pressure on a team like Canada, that is trying to break through as a high-end baseball country but may fall down the ranks if they do not qualify. At the end of the day, you have to win. That is the bottom line. Canada the current Pan am champs need their major leaguers to qualify and to take it serioulsy,the WBC is MLB answer to soccer’s famed World Cup,and we all know how serioulsy soccer players take this event,even from the qualifying rounds. The WBC is huge and will eventually mirror Soccer’s World Cup. The qualifying tournament definitely helps. The more countries that are involved- the better. This past world series was probably the most boring world series I have been alive to watch. When are we going to get some good teams that are worth watching in the world series? Ok guys, it’s time to announce locations so we can make our plans. Went to Orlando in 06 and the next series saw Netherlands beat DR – twice- in Puerto Rico.. Wow! So am I (and my family) going to Taiwan? Montreal? Mexico? Europe? If it’s Havana, I’m booking right away! I went to one game in 06, fell in love and bought Tickets to all of 09 games played in Puerto Rico..Im Puerto Rican, but would love to Visit the Dominican Republic or Cuba for the next Classics played in the Caribbean islands..Let us fan know if any change in Venue…Thank you..
We won’t know the venues for the WBC qualifying rounds until sometime in 2012. It will be announced on the Reports as soon as the sites are known. Thank you for the question! I would move the date of WBC from March to Octuber. In Octuber, all players keep in shape and they can give a better performance in the field. For example, many players get in shape after two months after season starting. If the tournament continue in March the quality of the tournament would be worst tournament after tournament. We know that the wolrd series of MLB occurs in Octuber, but they can move the starting date. Think on this. I don’t want see the poor performance of Venezuela, Mexico, Dominican Republic, USA and others. i’m from slovakia, totally non-baseball country but since i had spent almost two years in usa (in maine, redsox country…), i’ve fallen in love with baseball and big fan of red sox (yeah, hard not be their fan in new england, heh). what i see here in slovakia, baseball is getting popular, you can see kids around hitting balls, there is even baseball league where some 6-8 teams are competing every year. when there is a playoff on mlb, one can find articles in newspapers, on internet and surprisingly a lot of people discussing (the same for american football). i hope that one day my country will be able to send national team to compete in baseball world cup ! Tatra tiger,welcome to American and to the world of baseball I m a big baseball fan too,and glad to hear that baseball is beginning to grow in your country,FYI is not the baseball world cup,is the WORLD BASEBALL CLASSIC,and is coming up in 2013 in early march. I too love the World Baseball Classic. I find it hard to believe that Canada has to compete for a slot while Mexico does not. I believe there are more Canadians in baseball than there are Mexicans. In either case, as long as they rotate the 12 holdovers to make it fair for baseball countries that have a fan base and desire to compete it should be okay. In either case I’m glad that they are going to have the 16 teams compete for 4 slots as it opens the playing field and allows us to see more countries getting involved. I have lived in Spain for 3 years with NO BASEBALL!!! All they have is soccer and basketball with the focus on soccer. I just hope they have a game held here in Spain that I can go to. I like the World Baseball Classic! I’m from Great Britain and i hope Great Britain wins their qualifier. 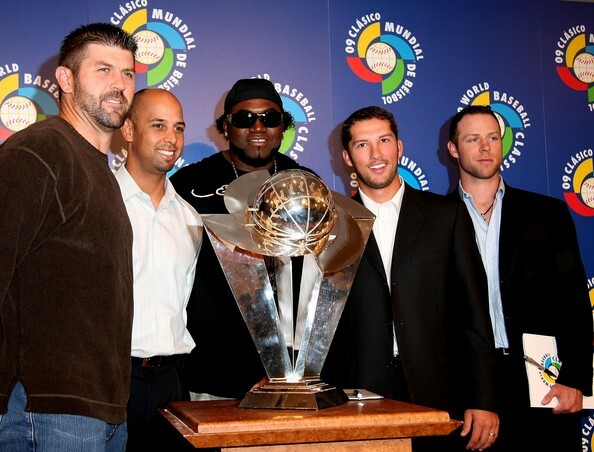 My predictions for 2012 are South Africa, Great Britain, Germany and Brazil are going to the 2013 World Baseball Classic with the remaining 12 teams. I hope you are right,but i think Great Britain is a long shot. Wow you are going on a limb!!! Great predictions. All 4 are longshots, but depends on the rosters come tournament time. Thank you for the comment! I’m from Israel and baseball is a real growing sport here. We had a pro league 4 years ago which unfortunately went under and we have a number of Israeli’s playing D1 baseball in the US and with the heritage rule of the WBC we can field some really good players. Three ex-players have agreed to help us in our bid – Shawn Green, Brad Ausmus and Gabe Kapler – and we are very excited about our prospects. Baseball is fighting for a piece of the world stage. It is a unique and beautiful game. My son lives in Estonia (that’s between Russia and the North Pole, I believe). There is a league there; not a team, but a league. One of the towns donated a park to be made into a ballpark. It is gratifying to see others enjoy our game. Baseball in Estronia??? Wow. That is cool. Do you have any pics you can share? Maybe well see Russia invited next time we have the WBC. Russia would be a great addition. I was very surprised to see them excluded. Thank you for the comment! Will the Rogers center be a possible location? I’m lovin this already! New countries are going to make this one hell of a tournament! We are very excited about the 2013 WBC. Completely agree. Thank you for writing in! This is cool. Where will it be held? Also where is Taiwan,Guatemala, Peru, etc. Taiwan which is also known as Chinese Tapei will be holding one of the qualifiers in November, in that pool will be New Zealand,Philpines,Thailand along with Taiwan. Idk why they left out Guatemala. But the WBC is going to be cool this year. What a joke! The whole WBC is pretty pointless. Long boring games, over priced seats and the encouragement of nationalism which has caused the deaths of tens of millions in the last 80 years. If the WBC gets more than a handful of new fans for the Great Game then I’ll be astounded. you will be astonished because here in Israel its big news, there are articles in the newspapers, people are talking about it and its gotten quite a buzz. Baseball is a growing game here and the WBC will only help to make it more popular in Israel. How does China get an automatic birth… and not Canada? Money has to be talking in this case. China has done awful in the WBC, going 1-5. Canada however is 2-3 overall, including beating the USA. China almost wasn’t able to field a team for the ’08 Olympics even. WTH? I like the new format of the World Baseball Classic! Maybe Russia, Sweden, Nigeria, Lesotho, The Bahamas, U.S. Virgin Islands and Jamaica can be invited to the qualification round in 4 years time. Good Luck at the Baseball Park! Japan is #1 in baseball and the U.S didn’t place Top 25% finishing at number (37%). The could drop as low as 45% for 2013.